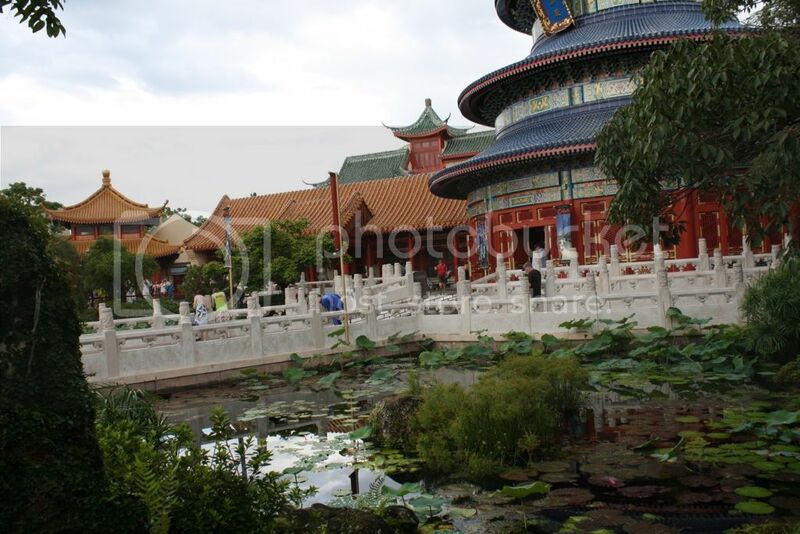 I have to admit that I've never spent too much time in the China Pavilion at EPCOT. I'm sure I've walked around in the past, but I can't remember more than a stop in the stores, a photo op with Mulan, and a bad counter service meal. While spending 10 days in China, I visited many amazing sites, such as the Great Wall, Tieneman Square, and The Forbidden City, but one amazing attraction I didn't get to see were the Terra Cotta Soldiers. In the Xin dynasty, the emperor created an Imperial Guard. 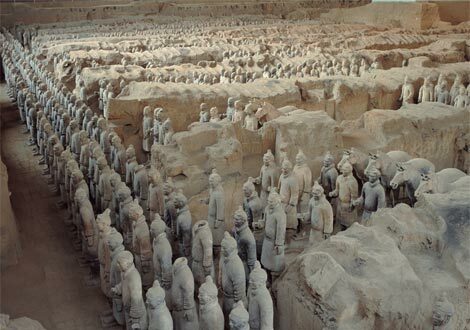 Made from Terra Cotta, there are thousands of soldiers, horses - warriors - there to protect. These were unearthed by farmers in 1974 and to this day, there are still unearthed plots for future generations to excavate in the city of Xi'an. We were only in 3 major cities - Beijing, Nanjing, and Shanghai (new capitol, old capitol, amazing metropolis city) , so a trip to Xian wasn't in the cards for this trip. Luckily, after researching to compare what I was seeing in China versus what I can see at the pavilion, I realized that there is a small version of the Terra Cotta Soldiers to see. I'm sure that I somehow knew that and it may have sparked my interest in visiting Xian, but I can't wait to actually see them now that I've learned so much more about the culture and country! Great post! It is always much more fun to visit the countries around World Showcase when you have background knowledge to pull from. Cannot wait to hear how your trip goes!! Brave for Me and You! Hey - Is there A Disney in Beijing?? About Me Monday - Veterans Day!